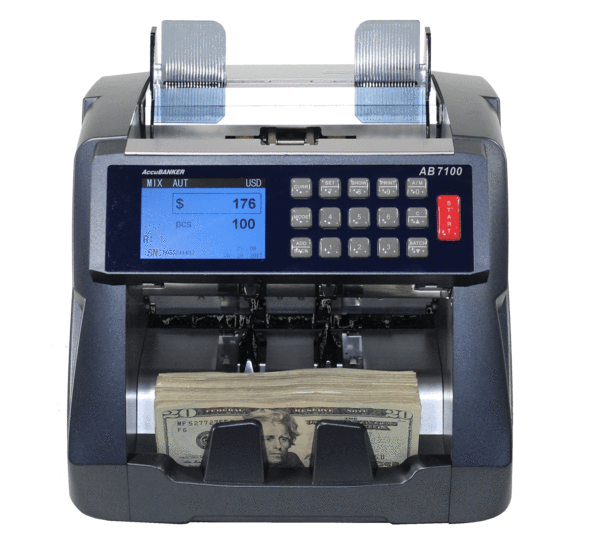 Accubanker AB7100 one pocket mixed denomination counting and sorting. 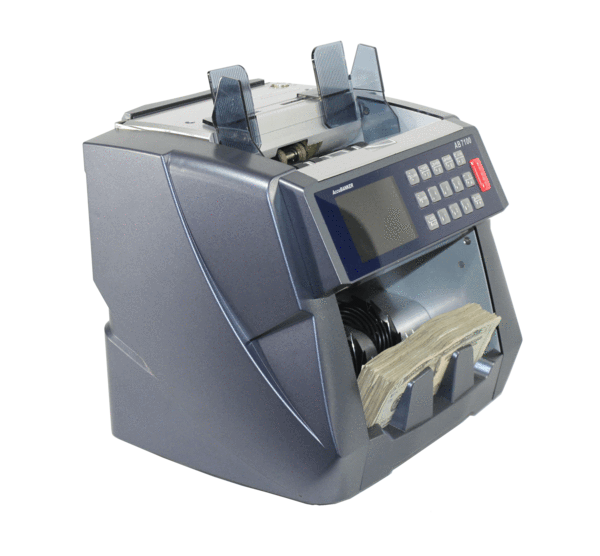 The total amount of money (value) as well as the partial results for every denomination in a single counting operation. 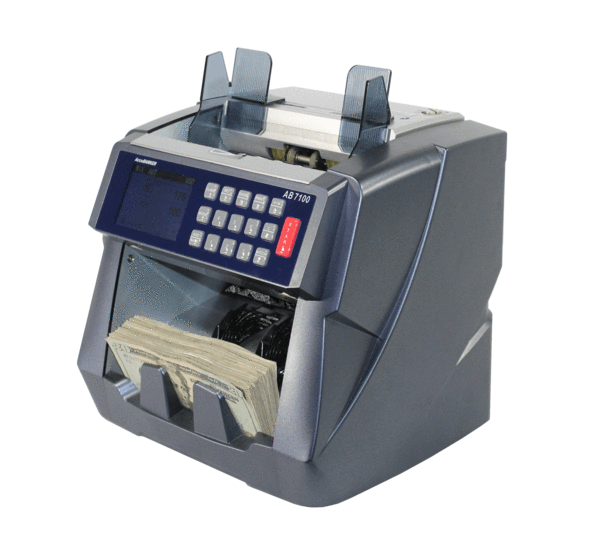 It also scans all the serial numbers of the counted bills. 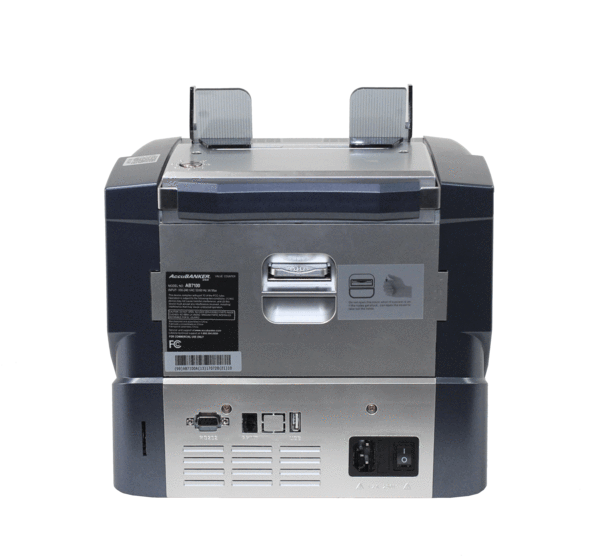 In the sort counting mode, if differnt dinomination is found, the unit will stop and you can remove the last bill. Unit Dimensions: 11.20" x 10" x 11.40"
11.20" x 10" x 11.40"